Instant website packages, create my own website, build a website, immediate web site setup, online product catalogue website. Using Chilli Websites to build, maintain and grow their web sites, our customers are thriving on the internet. Below is a sampling of some of our current customer's web sites. Gabrielle Lord survived being ‘razed’ by the nuns, acquired an education despite this, and after working in many different areas, sales, teaching, brick-cleaning, peach-picking and packing, and in the Public Service as an employment officer, started writing seriously aged 30. 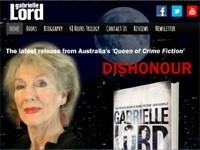 Her books include Dishonour, Death By Beauty, the Conspiracy 365 Series plus many more. 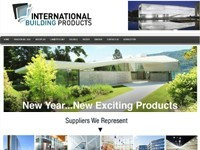 International Building Products - IBP Over the past 20 years, IBP has helped shape the city skylines of every major Australian city. With a quality and range of Glazing Products, Solid Metal and Metal Composite Panel, U-Profile glass and Renewable Energy Products, they to offer unique solutions to architects, designers, facade consultants and ESD professionals throughout Australia and New Zealand. Kelvin Carlsson (aka Mr Harmony) has been playing harmonica in bands in Sydney for the past 25 years. He has worked as an instructor at harmonica corporate team building events all along the east coast of Australia, alongside some of the country’s finest blues harmonica players such as Ian Collard, Chris Wilson, Doc Spann, Rick Dempster and Doug Lyons. 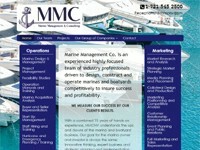 Marine Management Co. is an experienced highly focused team of industry professionals driven to design, construct and operate marinas and boatyards competitively to insure success and profitability. With a combined 75 years of hands on experience, MMCNV understands the ups and downs of the marina and boatyard business. Newport Plus Boardriders is a local club which holds monthly surfing competitions at Newport Beach on the Northern Beaches of Sydney, Australia. The club has a long history, originally encouraged by Charlie and Dale Ryan, owners of the Ocean Shores surf shop at Newport, they formed Newport Plus and had their first season in 1975. At Pristine Window and Gutter Cleaning we provide the finest quality workmanship and excellent customer service. We have been in the Service industry since 1983 - providing a friendly and prompt service. Pristine Window and Gutter Cleaning works on many high profile homes and commercial buildings in Sydney. 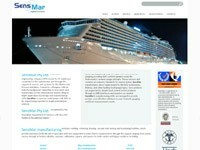 Sensmar Pty Ltd is specialist engineering company 100% owned by its employees committed to the manufacture and through life support of sensors and systems for the Marine and Process industries. Formed by colleagues with an industry background committed to innovation. 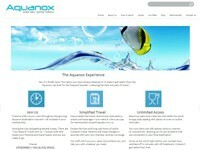 Aquanox Water Taxis ignited the personal water taxi revolution in 2011. Carrying up to eight passengers, our fleet of fast twin-hulled vessels provides unrivaled access to over 100 convenient destinations throughout Sydney Harbour. Stone Electrical Security are based on the Northern Beaches and are able to provide a wide range of electrical services; from design, to installation ensuring the successful outcome of all projects. This includes a choice of integrated building automation and audio visual systems, which are adaptable to domestic or commercial applications. 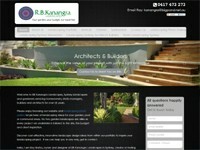 R. B. Kanangra Landscapes love creating gardens of exceptional design and quality. They work with you to design and create an outdoor living space that reflects your lifestyle and who you are. Betsy Jones is a unique online market place. Carefully chosen, hand crafted products & creative services that provide quality & inspiration to all who visit. Betsy Jones combines retro cool with a wordly style and a cheeky grin. Betsy is your new best friend. Moringa Associates is a Not-for-Profit Charitable Association, incorporated in New South Wales. They combine over 70 years of international experience in church, mission, ministry and multi-cultural development. Moringa are passionate about networking individuals and groups for more effective mutual outcomes. Moringa Associates Inc. is partly funded by donors who support the ministry. 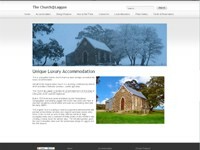 The Church @ Laggan is a beautiful historic church that has been lovingly converted into luxury accommodation. Set within the original stone church is a stunning contemporary interior which provides a fantastic luxurious, country get away. Located on an elevated block on the edge of the historic village of Laggan, 8km outside Crookwell in the beautiful rolling hills of the southern highlands. Melbourne School of Classical Dance (MSCD) is Melbourne’s leading inner-city ballet school for students ages 3 to adult, beginners to pre-professionals. They offer after-school and after-work classes for the general public as well as a selective daily program for dedicated and talented students. 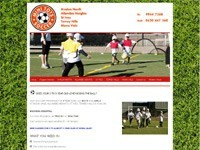 Newport Rugby Club was established in 1963 and has participated in the NSW Suburban Rugby competition since that time. The Breakers’ five senior teams currently compete in the 2nd Division competition (Barraclough Cup). Their home ground is located at Porter Reserve, Burke Street, Newport and they offer players and supporters the benefit of their own club house adjacent to the ground following home games. 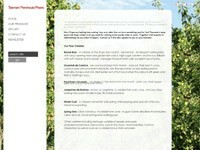 Pure Paws is a first class Natural Canine Boutique, Bakery, Spa and Training Centre. Located at 88 Gloucester Road, Buderim. Pure Paws offers something the Sunshine Coast has been lacking for a long time - a natural alternative to canine care through grooming, pet care products, food and treats. GM Imaging is a New South Wales based company that produces fully interactive high definition Virtual Tours, stills photography and floor plans. Interstate travel is no problem, GM Imaging will travel anywhere - anytime - for anyone. O.E. Hansen & Son grows 6 commercial pear varieties as well as smaller quantities of heritage pears and apples which are sold at our farmgate stall in Nubeena. Open 365 days a year. Nubeena Orchards is famous for its luscious Doyenné du Comice, Beurre Bosc, Winter Cole, as well as Packham’s Triumph, Josephine and Spring Dew. A Local Locksmith- If you need locks changed, repaired, serviced or installed with quality results at prices that will not break the budget then A Local Locksmith Newport is the one for you. They will come to your house or unit and give you an obligation free quote on security and safety. Based in Newport. 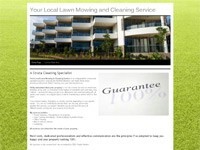 Mobile service with 30 years experience on the Northern Beaches. J On The Bay is a beautiful contemporary luxury home located in Pittwater on the Northern Beaches of Sydney, Australia. Situated 30 minutes drive from Sydney’s CBD area and just minutes to beaches, cafes and restaurants, golfing, numerous water activities including kayaking and sailing and only a moments walk to Pittwater itself. Contextual Intelligence How does an organisation extract insight from this ever expanding potential asset? The Squirro white paper, Unearth Gold in Landfills of Digital Data looks at the enterprise information space and different data types. It outlines strategies to combine data sets, referred to as Context Intelligence (Gartner) to drive visibility and more informed decision-making. The Soapbox Company is a Western Australian business located in the Perth Hills that provide handcrafted timber boxes and corporate branded tea. They have a range of teas that can be custom branded to use as unique giveaways, corporate gifts or your own retail brand. They can even have a special blend created for you and your business. Available in tins or small sachets perfect for direct marketing campaigns. Your Local Lawn Mowing & Cleaning Service is an independently owned and operated business servicing the Northern Beaches and North Shore areas providing professional Strata Cleaning and Lawn Mowing Services. The AIDS epidemic has decimated so many lives and has had a devastating effect on families globally. In Sub-Saharan Africa alone, there are in excess of 13 million children orphaned by AIDS. Committee Assist aims to assist as many of these children as possible. The En Pointe School of Ballet endeavours to instil quality, artistry, musicality, technique, and discipline into the training vocabulary of each and every student. With care and individual attention each student can expect to reach their highest potential. En Pointe School of Ballet is located in the Eastern Suburbs of Melbourne Victoria within the City of Whitehorse. Zeus Appollo is an Australian Energy Services Company (ESCO). They manufacture their own quality Solar and LED lighting products, providing direct supply solutions and support to the wholesale and reseller channel in addition to our energy projects. Red Robin Retreat is located at Dunsborough in the South West region of Western Australia, Red Robin Retreat is your perfect holiday house getaway. Enjoy award winning food and wines around the wood fire in winter or the classic Australian summer holiday at one of the many stunning beaches the area has to offer. 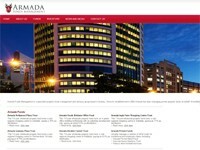 Armada Funds Management is a specialist funds management and advisory group based in Sydney established in 2006. Armada specialises in investment grade property and it’s focus is to capitalise on commercial property markets and opportunities in a counter-cyclical investment environment to target superior investment performance within defined risk parameters. Mini Tots Soccer offers Soccer Programs for 3 to 5 year old boys and girls at Warriewood, Frenchs Forest, St Ives and Avalon. Encouraging both children and adults to enjoy a rewarding and fun activity together. 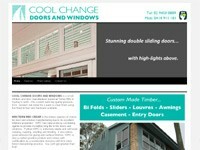 Cool Change Doors and Windows is a small window and door manufacturer based at Terrey Hills in Sydney’s north. They custom build top quality products from western red cedar for a paint or clear finish using the finest timber and hardware available. They can supply only or supply and install. They are also licenced builders so they can do any structural alterations required to provide the openings for new doors and windows. 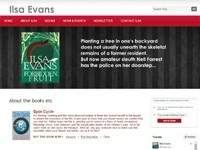 Ilsa Evans is a Melbourne-based author who shares her home with her three children, assorted pets, and several uninvited possums. She has written six books, with her seventh to be released later this year. her sixth book "Broken" was recently named one of the top five summer reads by the State Library of Victoria. 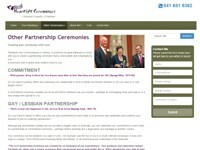 Heartlift Ceremonies is owned by Christine Cuskelly who is based in Ashgrove, Brisbane. Christine offers celebrancy services for weddings and other ceremonies in and near Brisbane, including the Sunshine Coast, Gold Coast, Toowoomba and northern New South Wales. Christine has a deep belief in the importance (and often joy) of ceremony and ritual in giving meaning to and celebrating important events and milestones in our lives. Kidz on Set is the brainchild of Terri Svoronos - a successful Melbourne business woman with over 20 years experience as a Talent Agent and performer. Kids can get bored very quickly and soon realise that it’s not all that glamorous on set - that there’s a lot of waiting around. We want that experience to be wonderful for everyone. We guarantee that kids will remain energised and happy and that they pace themselves throughout their call time. Galston & Community Bank Branch has been fully operational since 2002, following the withdrawal of banking facilities in Galston by the NAB. Galston Community Bank supports many schools, clubs and volunteer organisations which make up the Galston community and also provide a great banking service to all their customers, old and new. Bay Escape is a family friendly and pet friendly Queenscliff beach house. Imagine relaxing and enjoying the water views from one of the outdoor decks of this large three bedroom townhouse, yet just a fifteen minute stroll from the very popular Dog Beach. Situated only a few minutes away by car from either Queenscliff or Point Lonsdale. Bay Escape sleeps up to nine people and was designed with holiday letting in mind. Primary Communications Consultancy is a recent addition to the Pro-Matrix group. Initially formed to assist with the development & growth of BTP Consultancy clients, PCC has evolved & progressed into a strategic communications business partner possessing an assortment of local & national clients. Seka’s Beauty Case has been providing professional and experienced beauty treatments in and around Mona Vale on Sydney’s Northern Beaches for more than ten years. In that time Seka’s has established a reputation for beautiful high quality results at an affordable price. Australian Timber Laminators specialise in the manufacture of WIDE BOARD kitchen bench tops, bars, tables and stair treads, to provide a high quality, solid, contemporary product. 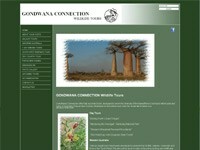 Gondwana Connection offer fully escorted tours, designed to show the diversity of the fauna/flora to be found within selected parts of Australia, Papua New Guinea, Madagascar and where ever else the imagination takes you. Being a Western Australian company, we also offer a great range of birding tours within the South West and day tours around Perth itself. 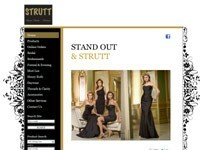 Strutt Design Studio is an on-line extension of the Strutt Boutique shop based in Moonah Tasmania offering bridal dresses, bridesmaid dresses and formal and evening gowns as well as day wear and accessories. Another area of the Strutt business is on-site alterations and repairs. Ranging from evening wear to jeans and school wear, Sturtt cater for all members of the family. 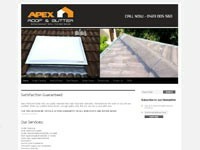 Apex Roof and Gutter only use quality materials that meet Australian standards. All tradesmen who work on your site are qualified. When you combine these factors, you get quality work that you can rely on year after year. 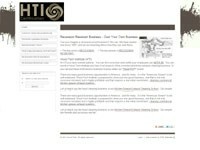 All materials used are new and specifically designed for your job. We only use the best materials available for the harsh Australian climate from reputable suppliers. 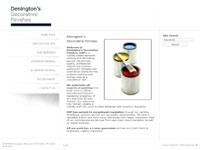 Denington’s Decorative Finishes (DDF) is a Sydney based specialist painting and decorating service. We provide quality, professional internal and external painting for domestic and commercial clients for the northern beaches and Sydney area at a competitive rate. Wynnum Manly Community Kindergarten enjoys a well-earned reputation as a friendly and encouraging place for pre-prep aged children to come and develop the building blocks of life-long learning through an engaging and supportive play-based curriculum. Our Centre provides a fun, friendly and nurturing environment where our children and families develop the building blocks of life long learning. 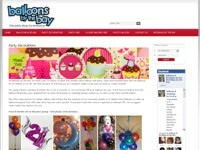 Balloons by the Bay offers a fantastic range of party services and supplies to ensure your function goes off with a bang! A family owned and run Brisbane Bayside business, our party shop is the largest in the Redlands, stocking hundreds of Helium Balloons, Themed Party Decorations, Partyware and Party Hire Items. Brisbane Carpet Upholstery and Pest specialise in Carpet and Upholstery Cleaning, Curtain and Blind Cleaning, Flood Restoration, Stain Removal, Pet urine, Eco Carpet Cleaning, Boat and Car interiors, Bond, Exit and Vacate Cleaning. 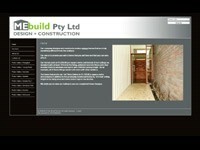 MEBuild are a new company but highly enthusiastic. They are a formidible team consisting of husband and wife, Nathan and Rachel. While Nathan is creative when it comes to exterior design and likes to think outside of the box, Rachel is in touch with what women really want and need for their homes to both function and look amazing! 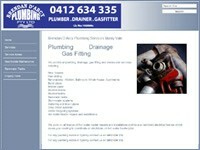 Northern Beaches Plumbers for any plumbing needs in Sydney including new houses, burst pipes, broken pipes, blocked drains, blocked toilets, rainwater tanks, stormwater systems or any other plumbing job. We provide professional, prompt service and always leave no mess behind. 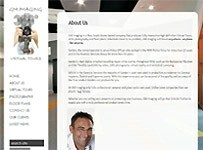 CCA can provide you with a high level of quality and innovative design. Attention to detail and functionality can only be reached by people who design and build them. 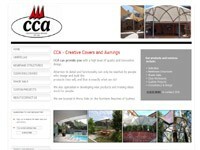 Creative Covers and Awnings are located in Mona Vale on the Northern Beaches of Sydney. Hood Tech. There are many good business opportunities in America - and for many - it is the "American Dream" to be self-employed. Hood-Tech Institute is prepared to show you one good business, one that is not only recession resistant, but is highly profitable and that requires a low initial investment - cleaning commercial kitchen grease exhaust systems. Maryborough Sports Leisure Centre Enjoy the benefits of regular exercise in friendly social surrounds at Maryborough Sports and Leisure Centre - the premier health and recreational facility in Maryborough. Gerard Murphy the recently appointed manager at MSLC is committed to ensuring that guests are able to experience quality exercise programs in a friendly supportive environment. 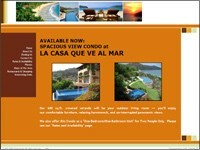 Our beautiful Zihuatanejo Condo in Mexico is waiting for you to come and enjoy all it has to offer! La Casa Que Ve al Mar means "the House with a View of the Sea" --- and our panoramic view is amazing! Our condo is available to rent for long or short periods. Hens Party PerthIf you are looking for something affordable, special and unique for your next Hen’s Party, Birthday or Girl’s Night Out - Look no further than right here at Hens Party Australia! Create a memorable evening with our Premium Hens Night & Party Entertainment Packages. Artura Design offers a full interior design service in both Residential and Commercial Design, servicing not only the Central Coast but also throughout Australia. 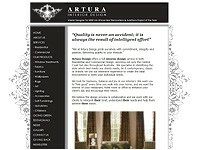 Artura specialise in identifying the style which best meets their clients needs, be it contemporary, classic or eclectic. Walkerden Golfis a wholesale distributor of golfing products and accessories based in Sydney, Australia. A company built on the foundations of service and integrity its founder Ray Walkerden received the Golf Industry Services Award by the Australian PGA in 2002, the highest award a non-member of the organization can receive. Tino’s clientele is very broad. We undertake large scale civil work for some of the nation’s biggest construction companies but we also are flexible enough to handle a private residential washed aggregate driveway. Our team are NCOP compliant and we have all relevant tickets for the construction work we undertake. Greenhill Research and Planning is a marketing research and strategic planning consultancy established in Adelaide in 2008. The consultancy undertakes projects on behalf of clients from Government and the private sector. Hood-Pro, Inc. has been cleaning and repairing kitchen grease exhaust systems in the southeast since 1997. Every Hood-Pro employee, including office personnel, are trained and certified in accordance with NFPA-96 to help you with your kitchen grease exhaust cleaning - to minimize fire exposure and maintenance needs. 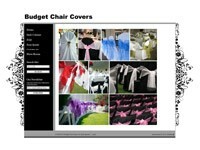 Budget Chair Covers strive to offer affordable chair coverings for all weddings and budgets. We offer a DIY (Do It Yourself) service which offers considerable savings for the budget conscious or an installation service for time sensitive and stress free functions. At Kim Kelly Plastering, our mission is to provide the finest quality work and excellent customer service. We have been in the plastering industry since 1993, providing quality craftsmanship and prompt service. 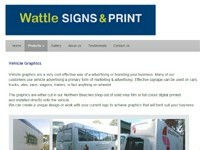 Wattle Signs was stablished in Terrey Hills in 1999, and have built a reputation for being the "Small Business Professionals". From initial consultation through to project completion, Wattle’s passion is to provide customers with a finished product that fulfills its purpose. From design concept through to manufacture, printing and installation they aim to be the your one stop printing shop. Beyond Projex is boutique consulting firm specialising in project management consulting and business enhancement solutions. 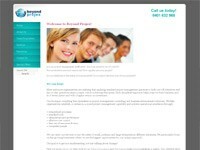 They help organisations establish, or enhance, a sound project management capability and achieve operational excellence.